I was trying some new flavours for cupcakes. 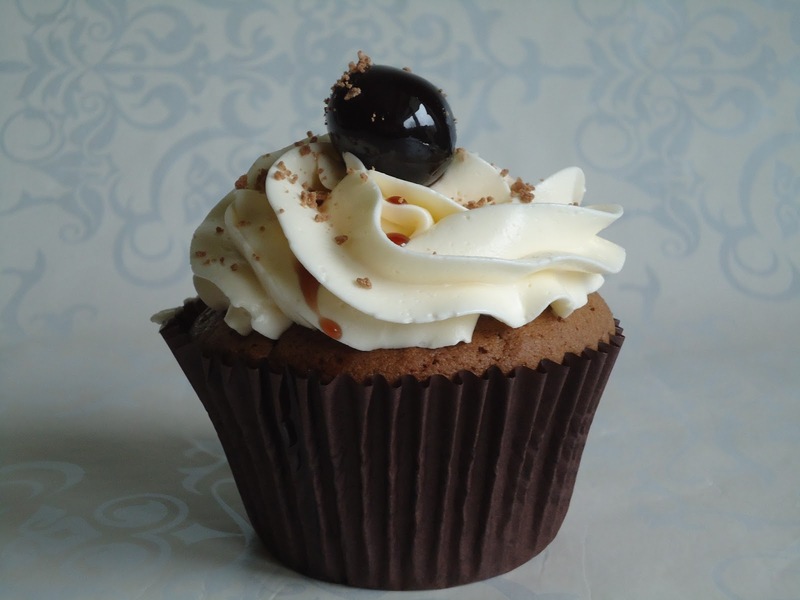 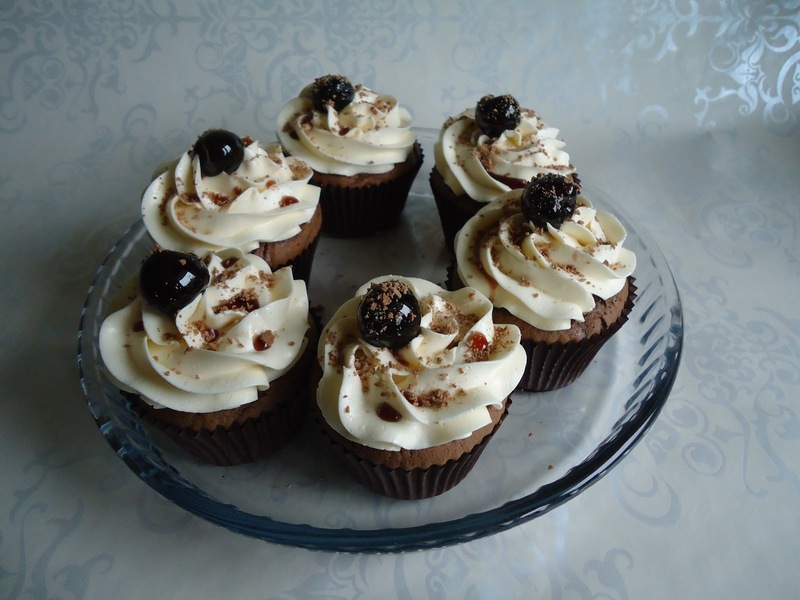 This one is Black Forest cake... A chocolate cupcakes, drizzled with cherry brandy and iced with Italian meringue butter cream and topped with a cherry and a drizzle of cherry syrup..
Next I tried Banana and Pecan Cupcakes. 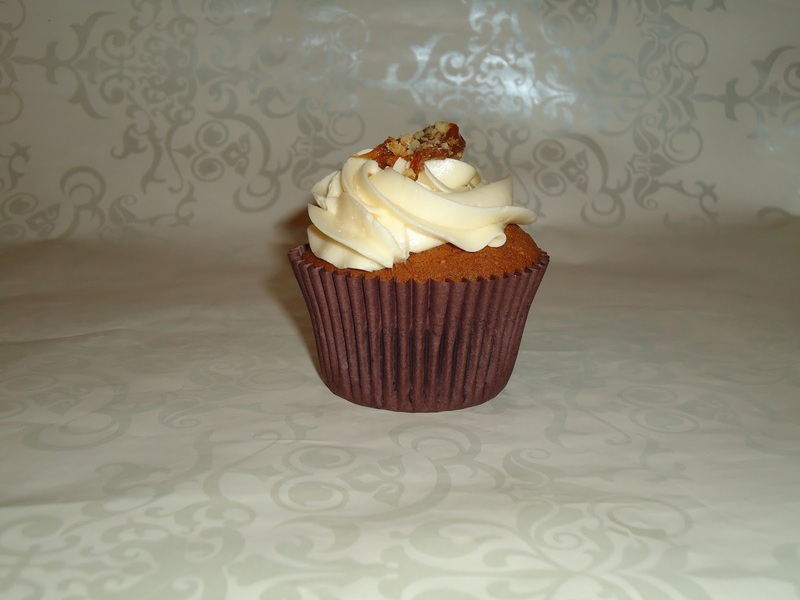 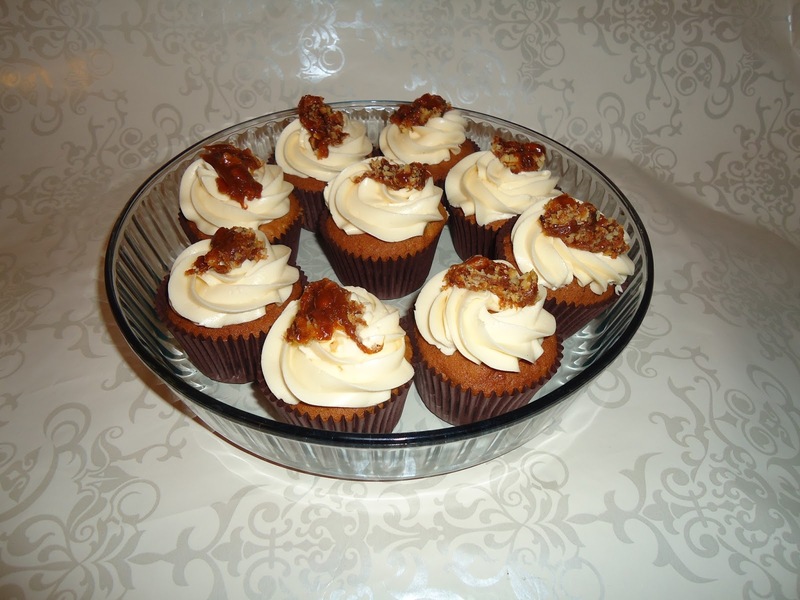 A banana and pecan cupcake, iced with Italian Meringue butter cream and topped with caramelised pecan. 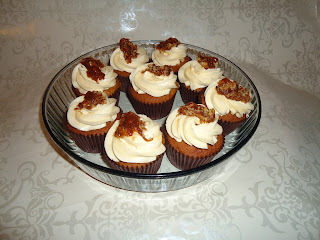 A close up of the cupcake.